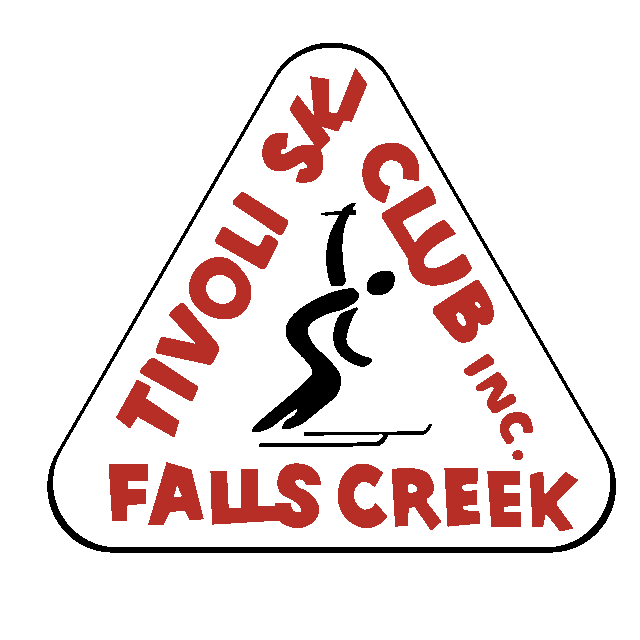 Tivoli Ski Club - guests are welcome! Tivoli is a self-catering communal style lodge featuring 9 bedrooms, 2 shared bathrooms (male / female), a large, new, fully-equipped kitchen, two generous living / dining areas, a games room and a generous balcony offering amazing views. At the busier times a caretaker is in residence. The lower level of the lodge contains the modern bathrooms - which are shared between guests, a laundry with a washing machine and dryer and a drying room for damp gear; ski gear in winter, outdoor gear in summer. There is also a games room with a table tennis table, a fussball table, a small cubby and a variety of toys and children’s books. Each bathroom has two showers, basins & mirrors and of course, toilets. One shower in each of the mens' and womens' bathroom has the capacity to bath children if required. Toilet paper and hand wash are provided. The main level contains a large, fully equipped modern kitchen with everything you’ll need (except food and drink!). There are two ovens, cook tops and microwaves, a coffee machine, two fridges and a large freezer. The adjacent dining area can comfortably seat 24. The large lounge room has enough couches for most of the 24 who just ate plus another large dining table – perfect for the many puzzles and games provided. There is also a plasma TV with DVD / VCR / games console: perfect for watching sport and movies! The top level of the lodge, contains only bedrooms, as detailed below. 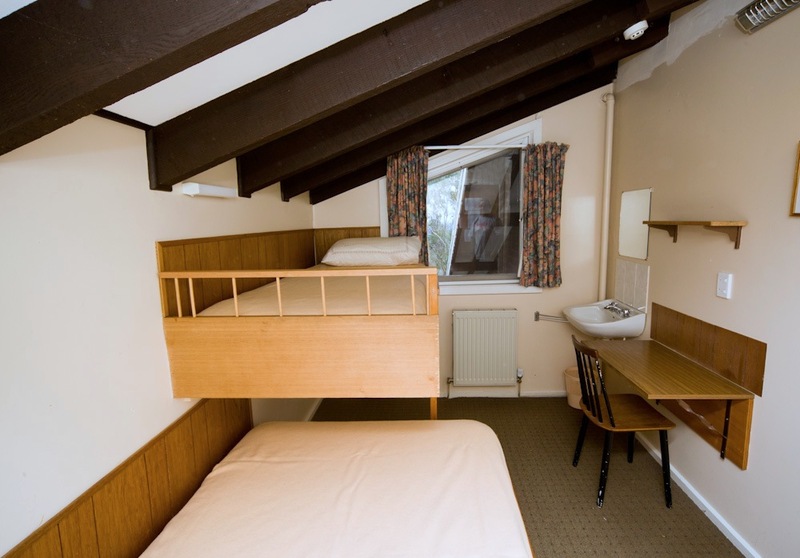 The bedrooms have a variety of configurations comprising of queen or double beds and / or single bunk beds. Ample pillows and blankets are provided in each room, with guests to provide their own linen. 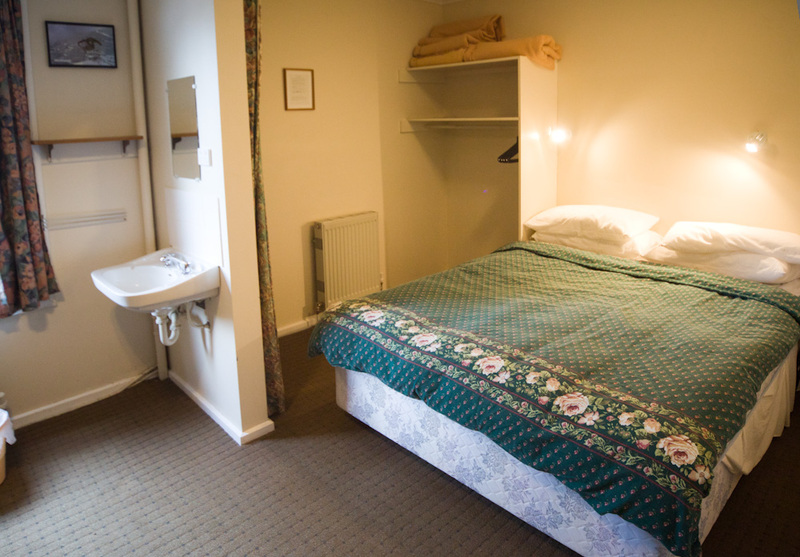 Each room has a basin, adjustable heating, a chair and desk as well as drawers and hanging space for clothes. Portacots are also available by prior arrangement. The main lodge level, where lounge, kitchen and dinning area are situated on the first floor also features rooms 2, 3 and 4. Room 2 is situated on the first floor and is adjacent to the dining room, with views out onto the balcony. The room is airy and quite spacious. The room is also easy to reach from the front entrance making it convenient for families. There is a queen size bed and a set of single bunk beds. In addition to these beds there is ample room for one of the lodge portacots. Room 3 is located on the first floor and adjacent to the lounge room, with views toward the Spion Kopje ridge. It is close to the front entrance and kitchen making it convenient for families. This room has a queen size bed and a set of single bunk beds. A portacot will just fit in the room, but it will be snug. Room 4 is located on the first floor and close to the lounge room, front entrance and kitchen. It has the most beds of all the lodge rooms. 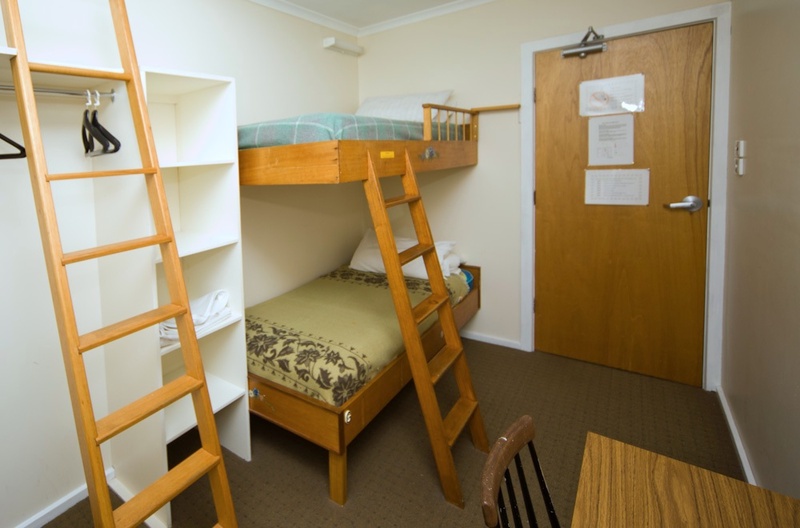 Three sets of single bunk beds allow up to 6 adults to stay in this room. A portacot will fit in the room. Rooms 5,6 and 7 are situated on the top floor of the lodge. Room 5 is located on the upper level of the lodge. 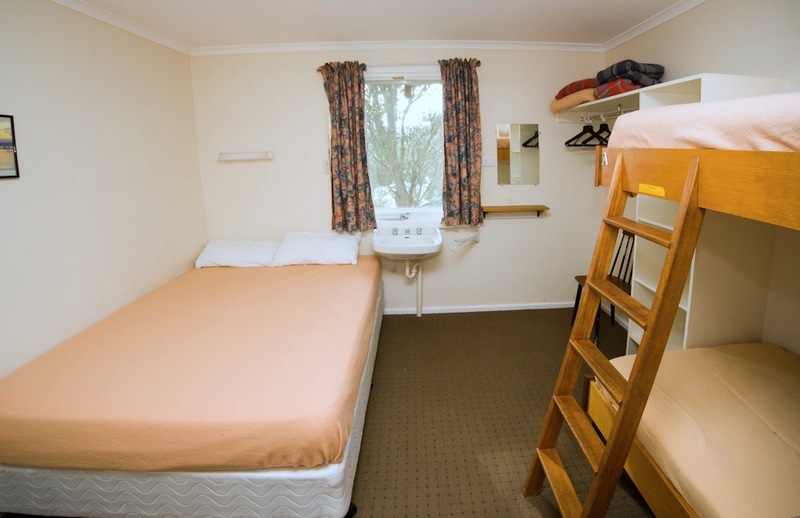 It's a quiet location and fairly spacious for two adults. The room has a single set of bunk beds and space for a portacot. Room 6 is located on the upper level of the lodge. There is a 3/4 size single bed and a single bunk. Room 7 is located on the upper level of the lodge. 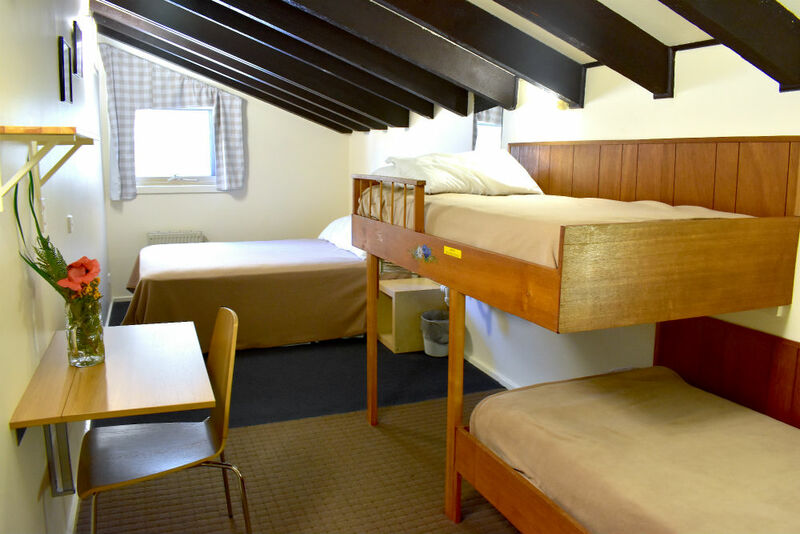 The room has a queen size bed and two single bunk beds accommodates up to 4 adults. The lower level of the lodge has three bedrooms : rooms 8, 9 and 10. 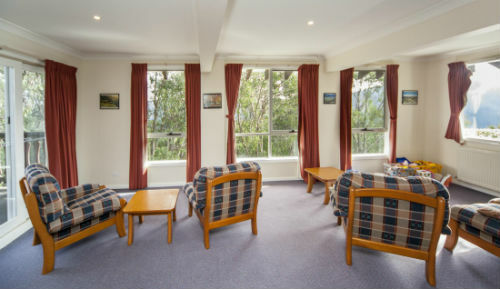 The lower level of the lodge is generally quieter and very convenient for the lodge facilities. 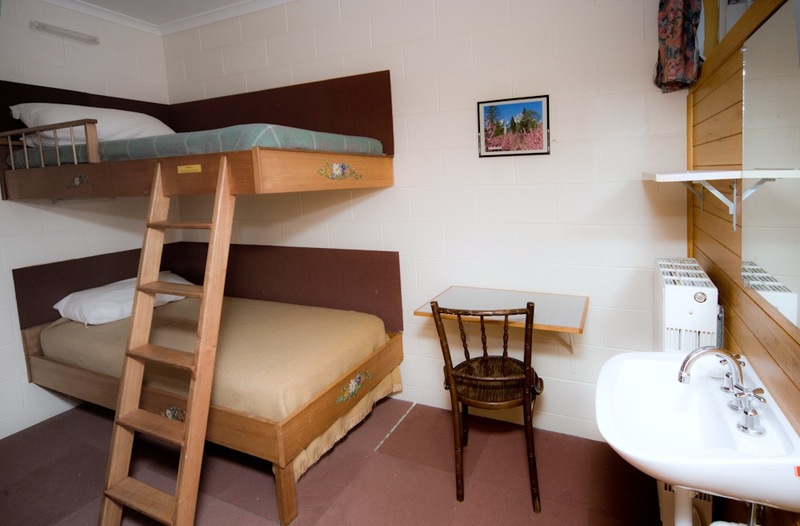 The room has a single bed and two sets of single bunk beds allow spacious accommodation for 5 adults. In addition there is room for a portacot. A smaller room on the lower level. 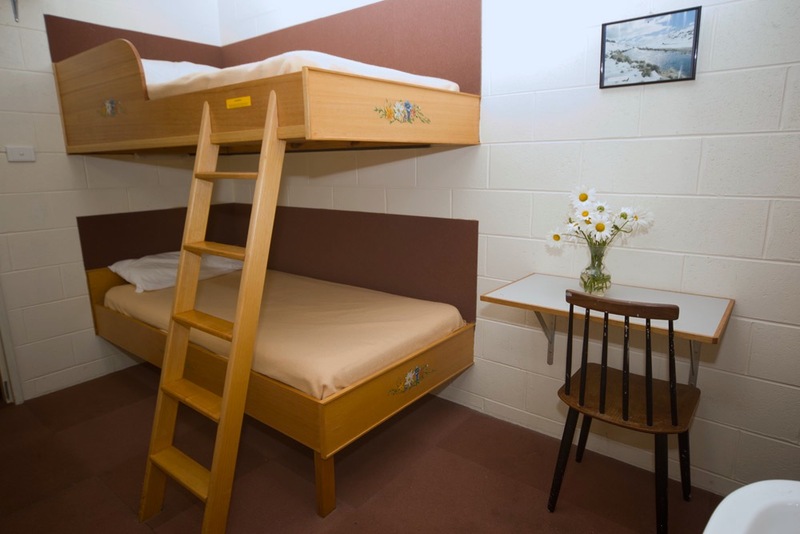 The room features a set of single bunk beds and room for a portacot. 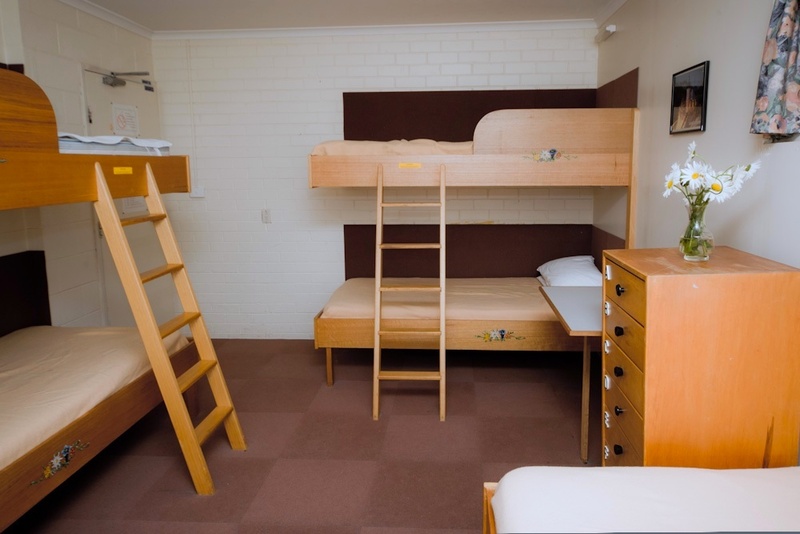 The room has a set of single bunk beds and room for a portacot. Each room is allocated ample storage space in the kitchen cupboards, fridges and freezer. Foodworks supermarket is open all year if you need any extra supplies at any time.The new kitchen is fully equipped with two stovetops, ovens and microwaves. A range of new pots and pans were recently acquired. There is enough crockery, cutlery, kitchen implements and glassware for a small army, and after a day’s activity at wonderful Falls Creek, you might feel like you’re feeding one. All washing supplies are provided. You will be given you the door code at final confirmation of your stay. Note this down as it's the only way you'll be able to access the lodge! Your best point of contact before and during your stay is the booking officer. There is often a member or two up at the lodge as well, and they might be able to help you out with general queries.